We know how complicated is to get a cell phone or internet contract when you are a foreigner. 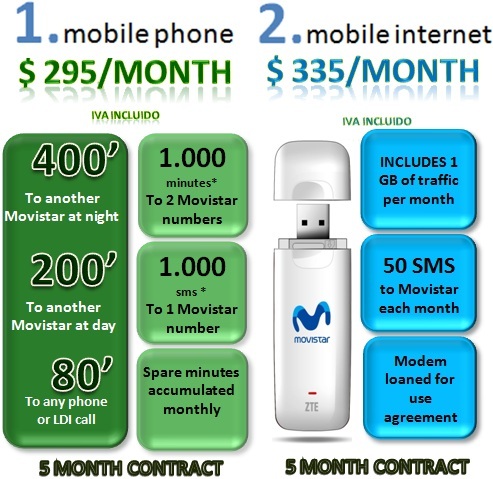 That�s why we partner with Movistar to allow you a customized contract for the length of your stay in Uruguay and avoid paying 3 times more with pre paid cards. Just fill the the form below and you can pick up your Umobile sim card within 48 hours.